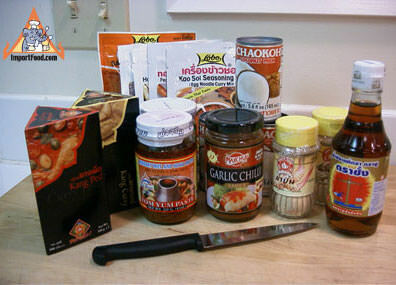 A great way to get started cooking Thai food, this kit has all of the ingredients to make several servings of Thai curry. Includes a thoughtful selection of our Lobo brand instant stir-fry and soup mixes--very popular in Thailand for making authentic Thai meals easily. With assorted spices, and a high quality Kiwi brand knife. For $27.95 you can cook at a fraction of the cost of Thai restaurants, and have a lot of fun in the process.